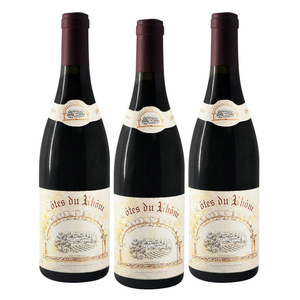 The Cotes du Rhone wine is the fruit of history and a vast vineyard! Although initiated by the Greeks, the viticulture of the Cote du Rhone was developed by the Romans. In order to create a large vineyard in Gaul near Italy, they will start important works. The history of the Rhone wine will also be marked by barbarian invasions. 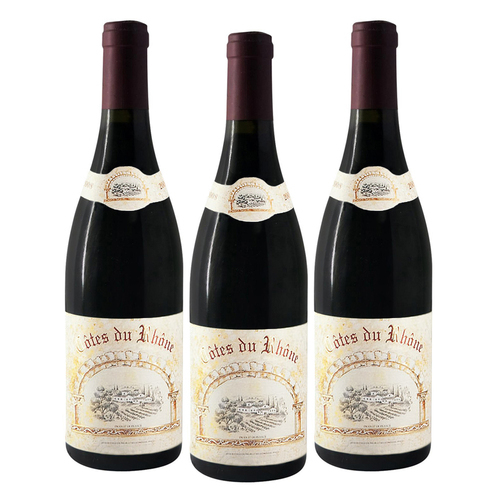 Wine lovers, they will increase the cultivation of vines on the Cote du Rhone to support their personal consumption. However, wars led to the destruction of the vines. The clergymen, and more precisely the popes' love for this wine, will then revive the vineyard and contribute to its fame (notably Pope Clement). The wines of the Rhone represent about thirty appellations and are mainly red. Some famous great growths are hidden, however, among the great local appellations: Cote Rotie and Crozes-hermitage (for the north), Chateauneuf du Pape and Beaumes-de-Venise (for the south), for example. Among the grape varieties most commonly used in the composition of Rhone wines, syrah, black grenache and mourvedre for red wines, marsanne and viognier for white wines are the main ones. However, many other grape varieties are used to make these wines: Vaccarese, Muscardin, Muscat Noir, Terret Noir, Carrignan Noir, Carrignan Noir, Marselan, Clairette Rose, Bourboulenc, Roussanne, Picpoul, Ugni Blanc, Vermentino, and so on.